This week is the deadline for all merchants to have new machines with chip and pin technology. RE-reposting to remind everyone to remind everyone to ask for updated machines. *This is a reposting to remind markets to check in with vendors and with your own credit card processor to ensure your readers are up to date. NOFA-VT leader Erin Buckwalter asked me about Square readers on a call today which reminded me to repost this information. And so yes, Square has an updated version as well, so make sure anyone using that or any other older card processing technology for credit cards is updating it! 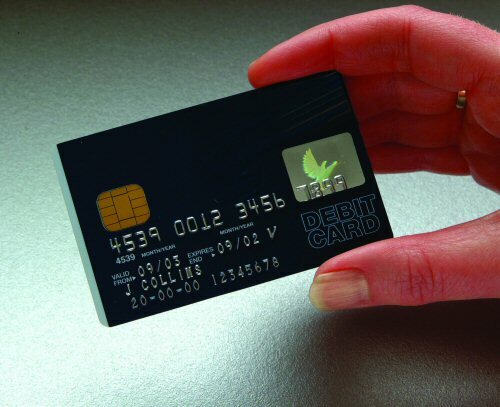 Was fortunate to be on a call with market state and network leaders today and to hear speakers including Kim Lyons, a long time supporter of small retailers at MerchantSource®; she gave us a great overview today of the chip and pin enabled devices/aka EMV devices/aka smart card technology that is coming down the pike. Here is what I heard, and as I get updates I’ll post them here and if what I wrote here needs to be corrected by my more able colleagues, I’ll also update. But since I know many markets don’t have state or network support systems, I felt it was necessary to get this on radar screens asap.And do remember, this is also important for market vendors that have their own credit card machine to address, so feel to print this out and share widely. Chip and pin technology has existed for many years in Europe but had not been pushed in the US market- that was, until some of the worst security breaches of cards seen happened in the past year, including the Home Depot and Target breaches. So, whether or not those issues would be solved by it, chip and pin technology is coming and coming soon. This technology means credit and debit cards contain an embedded microchip and are authenticated automatically using a PIN. When a customer uses a card, it is placed into a “Point of Sale” (POS) terminal, which connects to the chip on the card. To complete the transaction, the customer enters a 4-digit PIN. These new technologies are meant to reduce the likelihood of breaches, especially at the merchant level. This is also true of new app-based systems (also called “contactless systems”) like Apple Pay which allow a user to upload credit cards to their iPhone 6 and use encrypted “near-field technology” to just tap or wave the smart phone at the merchant pad. The card itself never leaves ones wallet in those cases. This chip and pin technology directly relates to all debit and credit but not to EBT only technology because EBT uses a different software kernel (system). However, many expect FNS to address this issue with changes in their technology sooner or later. Important to note: This technology is for “card present” (CP) transactions and so internet or phone based transactions aka card not present (CNP) transactions will need their own version of chip and pin; some exist already. Of course, markets are not usually running CNP transactions so this is less of an issue right now for physical farmers markets. There is a great deal left to learn about these issues as markets move into the next generation of technology. What is crucial to understand right now is the expected deadline of October 2015 for having this emv/pci compliant technology will shift liability of any breach on to merchant’s shoulders rather than the merchant providers of Mastercard/Visa etc. After that expected date of October 2015, in order for liability of any breach to stay with the merchant service providers, it will be necessary for any retailer to have these integrated pin pads or systems at that point. That means either adopting brand new card technology or app-based services like Apple Pay or upgrading their existing magnetic stripe only capabilities. A recap of what is written above: Markets or state associations need to know if their merchant service providers or app-based solutions are emv/pci/contactless compliant. This new technology needs to be embedded into their pin pads or new technology by October of 2015 or the liability for any breach shifts to the merchant (read market). That entering into any lease system for readers at this point may mean getting technology that is “end of life” and cannot be upgraded or may mean paying for equipment after its technology is outdated. (Leasing versus renting contract language also needs to be understood by the buyer!) So, state associations, national partners and advocates for farmers and markets are working hard to understand these issues and to find resources for markets and farmers to understand the issues that will arise. What was also raised on this call was Farmers Market Coalition’s new contract with FNS to administer 3.3 million in support grants to markets for EBT systems and 700,000 in replacement equipment. I am sure that system along with the existing Marketlink system (which is an entirely separate program from FMC’s contract and supports NEW EBT systems for markets and for market farmers) are both going to work diligently on making sure these new systems are addressed. 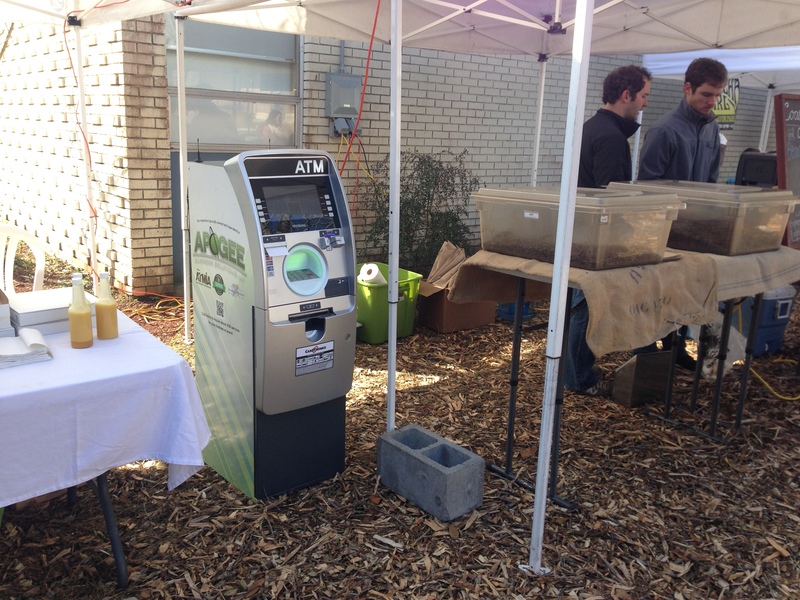 The United States Department of Agriculture (USDA) Food and Nutrition Service (FNS) has partnered with the Farmers Market Coalition (FMC) to provide eligible farmers markets and direct marketing farmers with electronic benefit transfer (EBT) equipment necessary to process Supplemental Nutrition Assistance Program (SNAP) benefits. The application is now open. This is a first-come, first-serve opportunity, which will be over when all the funds have been allocated. OR They currently possess functioning EBT equipment, but received that equipment before May 2, 2012. For more information on the program, including frequently asked questions, an eligibility chart, background information and application instructions, visit HERE. Market A (which runs on Saturday morning downtown) is asked by its city to participate in a traffic planning project that will offer recommendations for car-free weekend days in the city center. The city will also review the requirement for parking lots in every new downtown development and possibly recalibrate where parking meters are located. To do this, the city will add driving strips to the areas around the market to count the cars and will monitor the meters and parking lot uses over the weekend. The market is being asked for its farmers to track their driving for all trips to the city and ask shoppers to do Dot Surveys on their driving experiences to the market on the weekend. Public transportation use will be gathered by university students. Market B is partnering with an agricultural organization and other environmental organizations to measure the level of knowledge and awareness about farming in the greater metropolitan area. For one summer month, the market and other organizations will ask their supporters and farmers to use the hashtag #Junefarminfo on social media to share any news about markets, farm visits, gardening data or any other seasonal agricultural news. Market C is working with its Main Street stores to understand shopping patterns by gathering data on average sales for credit and debit users. The Chamber of Commerce will also set up observation stations at key intersections to monitor Main Street shopper behavior such as where they congregate. Market D has a grant with a health care corporation to offer incentives and will ask those voucher users to track their personal health care stats and their purchase and consumption of fresh foods. The users will get digital tools such as cameras to record their meals, voice recorders to record their children’s opinions about the menus (to upload on an online log) with their health stats such as BP, exercise regimen. That data will be compared to the larger Census population. So all those ideas show how markets and their partners might be able to begin to use the world of Big Data. In those examples, one can see how the market benefits from having data that is (mostly) collected without a lot of work on the market’s part and yet is useful for them and for the larger community that the market also serves. However, one of the best ways that markets can benefit from Big Data is slightly closer to home and even more useful to the stability and growth of the market itself. That is: to analyze and map the networks that markets foster and maintain, which is also known as network theory. Network theory is a relatively new science that rose to prominence in the 1980s and 1990s and is about exploring and defining the relationships that a person or a community has and how, through their influence, their behavior is altered. What’s especially exciting about this work is that it combines many disciplines from mathematics to economics to social sciences. 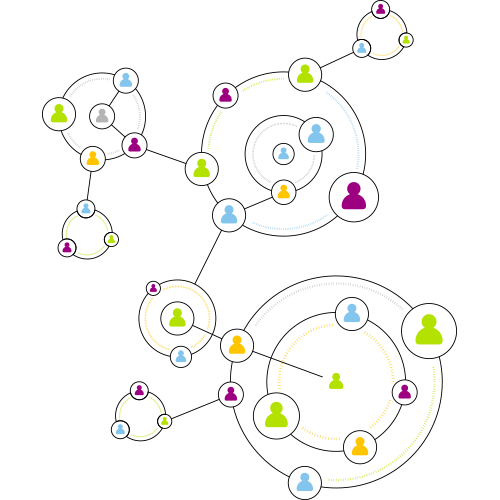 A social network perspective can mean that data about relationships between the individuals can be as useful as the data about individuals themselves. Some people talk about this work in terms of strong ties and weak ties. Strong ties are the close relationships that we use with greater frequency and offer support and weak ties are those acquaintances who offer new information and connect us to other networks. The key is that in order to really understand a network, it is important to analyze the behavior of any member of the network in relation to other members action. This has a lot to do with incentives, which is obviously something markets have a lot of interest in. From the book Networks, Crowds, and Markets: Reasoning about a Highly Connected World. By David Easley and Jon Kleinberg. Cambridge University Press, 2010. I could go on and on about different theories and updates and critiques on these ideas, but the point to make here is this is science that is so very useful to the type of networks that food systems are propagating. Almost all of the work that farmers markets do rely on network theory without directly ascribing to it. Think about a typical market day: a market could map each vendors booth to understand what people come to each table, using Dot Surveys or intercept surveys. That data could assist the vendor and the market. The market will benefit in knowing which are the anchor vendors of the market, which vendors constantly attract new shoppers, which vendors share shoppers etc. The market could also find out who among their shoppers bring information and ideas into the market and who carrries them out to the larger world from the market. All of this data would be mapped visually and would allow the market to be strategic with its efforts, connecting the appropriate type of shoppers to the vendors, expanding the product list for the shoppers likely to purchase new goods and so on. 1. The agency that distributed the news of these market programs didn’t understand markets or did not have a relationship of trust with their clients that encouraged introduction of new ideas or acceptance of advice in changing their habits. 2. The market itself was not ready to welcome new benefit program shoppers- too few items were available or the market was not always welcoming to new shoppers who required extra steps and new payment systems. 3. Targeting the right group of “early adopters” among the large benefit program shopping base was impossible to decipher. 4. Some barriers remained and were too large for markets alone to address (lack of transportation or distance for example). 4. Finding the time for staff to do all of that work. Over time, markets did their best to address these concerns, which has led to the expansion of these systems into every state and a combined impact in the millions for SNAP purchases at markets alone. The cash incentives assisted a great deal, especially with #2 and #4. However, this work would be made so much easier and the impact so much larger if network theory was applied. Market A is going to add a centralized card processing system and has funds to offer a cash incentive. But how to spend it? And how to prepare the market for the program? 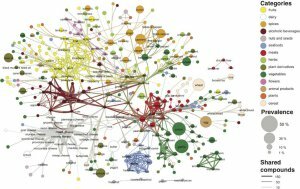 If the market joined forces with a public health agency and a social science research team from a nearby university, it might begin by mapping the networks in that market to understand the strong and weak ties it contains as well as the structural holes in its network. It might find out that its vendors attract few new shoppers regularly or that the market’s staff is not connected to many outside actors in the larger network, thereby reducing the chance for information to flow. The public health agency might do the same mapping for the agencies that are meant to offer the news of the market’s program. That mapping might find certain agencies or centers are better at introducing new ideas or have a population that is aligned already with the market’s demographic and therefore likely to feel welcomed. As for incentives, what markets and their partners routinely tell me is more money is not always the answer. Not knowing what is expected from the use of the incentives or how to reach the best audience for that incentive is exhausting them or at least, puzzling them. If markets knew their networks and knew where the holes were, they could use their incentive dollars much more efficiently and run their markets without burning out their staff or partners. If connectors are seen in large numbers in a market, then a “bring a friend” incentive might be offered, or if the mapping shows a large number of families entering the system in that area, then an incentive for a family level shopping experience may be useful. One of the most important hypotheses that markets should use in their incentive strategy is how can they create a regular shopper through the use of the incentive. Of course, it is not the only hypothesis for a market; a large flagship market might identify their role as introducing new shoppers to their markets every month and use their funds to do just that. But for many markets with limited staff and small populations in and around the market, a never-ending cycle of new shoppers coming in for a few months and then not returning may not be the most efficient way to spend those dollars or their time. So this is also where network theory could be helpful. By asking those using their EBT card to tell in detail where and how they heard about the program and by also tracking the number of visits they have after their introduction, we could begin to see which introductions work the best. Or by asking a small group of new EBT shoppers to be members of a long-term shopping focus group to track what happens during their visit (how many vendors they purchase from and how long they stay) and after (see Market D example at the top), we could learn about what EBT shoppers in that area value in their market experience. We may also find out that the market has few long-term return shoppers from the EBT population or we may find out that connectors become easy to spot and therefore they can be rewarded when sharing information on the market’s behalf. In all of these cases, it will be easier for the staff to know what to do and when to do it if they understand their networks both in and around the market. And of course, mapping the larger food systems around the markets’ systems would be exciting and could move policy issues to action sooner and allow funding to be increased for initiatives to fill the holes found. However markets do it, what seems necessary is to know specifically who is using markets and how and why they decided to begin to use them and to whom those folks are connected. Network theory can be the best and widest use of the world of Big Data, especially to accomplish what Farmers Market Coalition has set as their call to action: that markets are for everyone. This is a pre-solicitation notice to assist Department of Agriculture (USDA), Food and Nutrition Service (FNS) and State agencies to establish a process to award support grants to eligible farmers’ markets and to develop a method that offer replacement Supplemental Nutrition Assistance Program Electronic Benefits Transaction (SNAP EBT) equipment and services for farmers’ markets and direct-marketing farmers. The solicitation package will be posted on fedbizopps on or August 22, 2014. All additional details (i.e. closing date, FAR Clauses, Evaluation Factors) will be included in the solicitation package. The request for proposal (RFP) will have a two part evaluation. Part 1 will be evaluated using a pass/fail evaluation. Part 1 evaluation factor is Experience: Offeros shall demonstrate experience with Farmers Markets and direct-marketing farmers nationwide and associated partnership experience working with the Farmer Market and direct-marketing farmer. Part 2 evaluation factors will be provided in the solicitation package. Alternatively, interested parties may go to https://www.fbo.gov/ and search for the Notice by using the solicitation number AG82014.